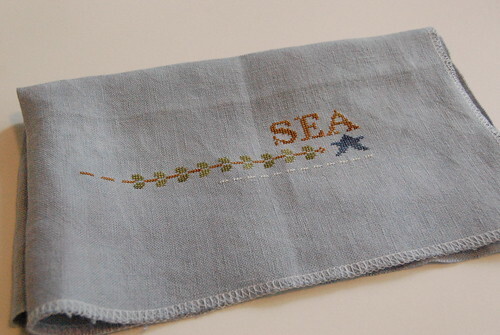 Nicole's Needlework: Back from Florida! My favorite fabric - 32 ct. Vintage Examplar, the new Praiseworthy Stitches chart "Simple Gifts - Love," and the Just Nan "Sizzle" pinwheel. 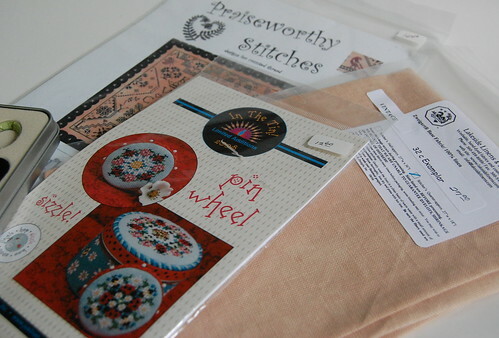 I had gotten the tin, but not the pinwheel - I decided to get it now that I'm feeling a little more confident with my finishing skills after taking the class with Jane Timmers. 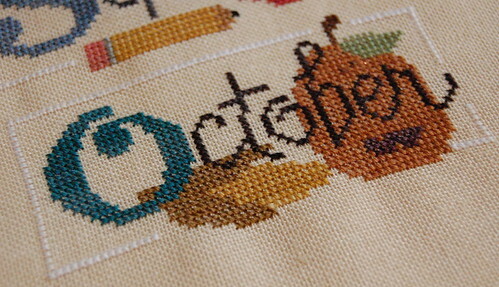 Lizzie Kate "A Bit of October"
I really want to get this banner finished up this year (I started it last year). Just two more months and it will be done! 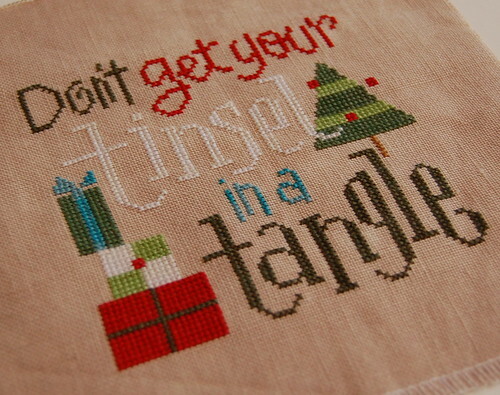 and I got "Don't Get Your Tinsel in a Tangle" finished. I plan to either finish it into an ornament or a pinkeep. :) Write soon! Lizzie Kate "Don't Get Your Tinsel in a Tangle"
P.S. I was able to vote in Florida before I left. Congrats to Obama! Welcome back! 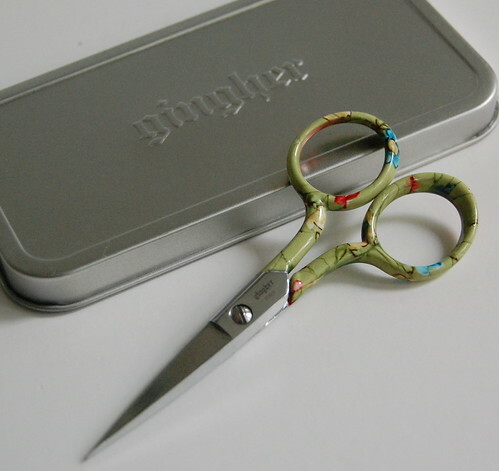 Your finishes and stash purchases look great...keep on stitching! Glad you had a nice trip. The fabric for the LHN design looks wonderful with the floss. Great choice. Sounds like you had an enjoyable trip. All your new stash looks great. the fabric for the LHN pattern is wonderful! I wouldn't have thought to put it on blue, but it sure is nice :) Have fun with your new stash! Great finishes and a lovely stash haul too! What a great birthday gift! Can't wait to see more of Sea to Shining Sea! Love the new Ginghers and stash. Congrats on your finishes! They are GORGEOUS!!! Your new stash looks great, too!! Happy Belated Birthday!!!! Looks like you had fun with new stash and finishes! Welcome back, Nicole, and happy belated birthday! Your WIP and finish are both sooo very pretty! Congrats! Happy birthday Nicole! Nice sash! Love Tangles Tinsel! Hope your visit was fun & relaxing. Love everything you acquired! Happy Birthday Nicole! Welcome back and belated Happy Birthday! Love your finishes and new goodies!